"In the beginning, according to Hindu mythology, the god Shiva danced the world into being. It is a charming story of creation, and it gives dancing a significance unknown in the Western world." 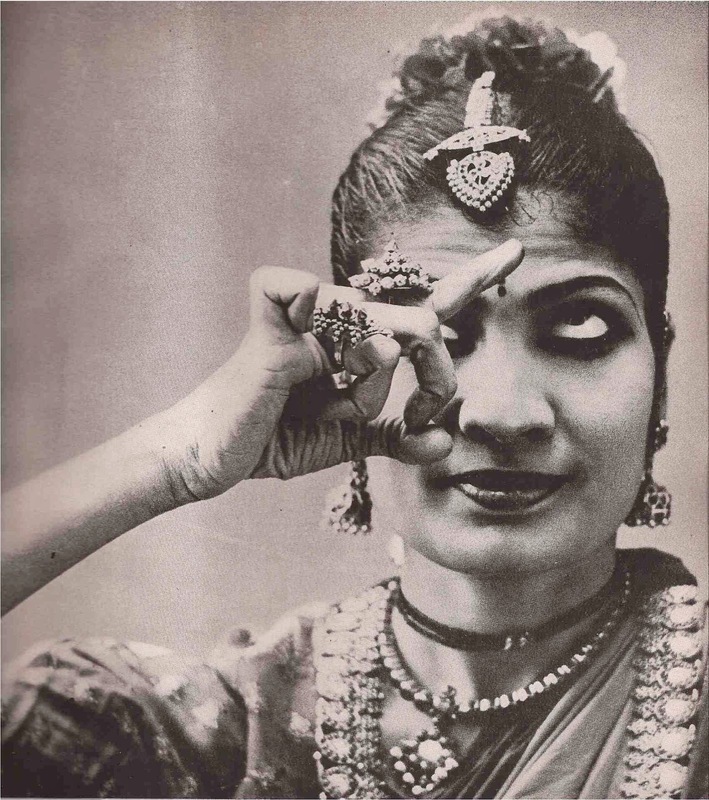 "The Indian dancer is more than an entertainer; she discovers in the rhythm of the dance the oneness of all things mind and matter, spirit and flesh, that is at the core of Hindu religious thought. She communes - and communicates - in a language older than the spoken word: The language of gesture. This ancient vocabulary, incredibly varied and complex, is capable of expressing the most subtle and abstract ideas. A wave of the hand may symbolize a bird on the wing or, in another context, one of the intangible qualities of a god." 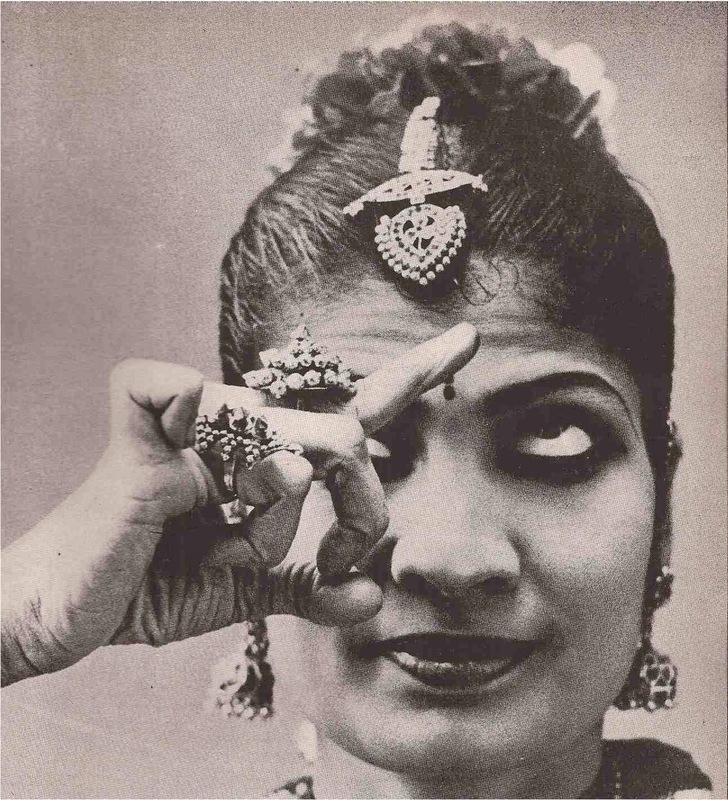 "The great Indian dancer, Shanta Rao, has at her command no less than three hundred such gestures - seven for the eyelids alone. With these she encompasses her story, endlessly improvising on the classic Hindu myths, within the rules of a syntax laid down centuries ago. 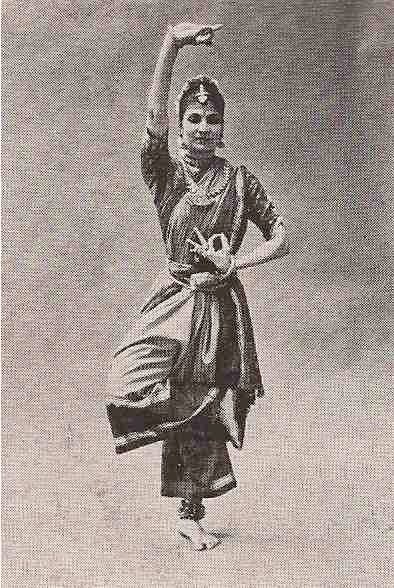 Here, wearing the gaudy, elaborate plumage of her calling, she is photographed in some of the gestures of the dance. With her hands she conveys the action - the actual happenings of the story. Her feet, jingling with bells, set the rhythm. And ... with the glance of her eyes, she establishes the mood: happy or raging or, as often happens, pure coquette."